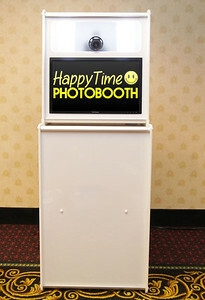 Happy Time Photo Booth has a sleek design perfect for use at any indoor event. Our booth uses an 18-megapixel camera, a 22'' touch screen, and a dye sublimation printer which produces high-quality glossy photo strips for you and your guests. The booth is user-friendly with an easy-to-use touch screen, displayed instructions, and countdown for each photo captured. Our booth is designed to fit up to 8 people, measuring an area approximately 8' x 5', so no one will be left out of that memorable group photo. Each package comes with a customized touch screen and photo strip design. Perfect for matching your wedding colors, or celebrating your birthday event. Your choice: Photos are available in the classic 2" x 6" photo strip size or a full-size 4" x 6". 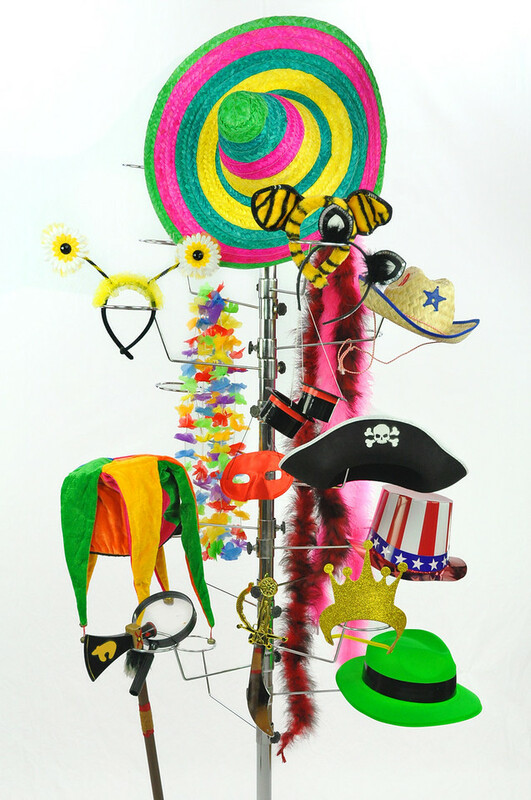 Every package comes with our Happy Time prop box, which includes a variety of hats, masks, props, and more. Pick 'n' choose, mix 'n' match, have a blast with you and your guests! If you have specific theme for your wedding, let us know! We can try to match your theme with our props. For every event, our Professional Booth Attendant will set up and break down the booth at your convenience. They will also welcome your guests and explain how to use the booth, and provide any technical assistance required. In addition, they will make prints for every person in the booth, and will gladly make extra prints for those who want a second copy! 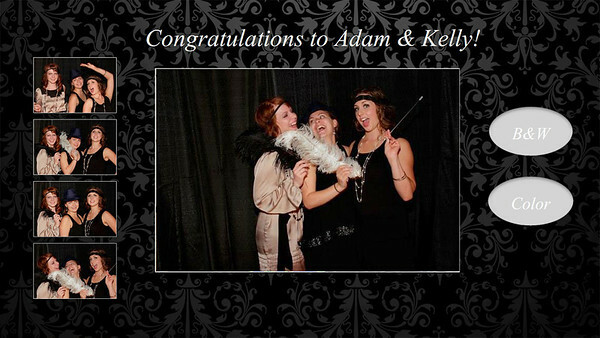 All the photos from your event will be posted to an Online Gallery and archived to a personalized Photo USB Drive. The photos will be uploaded to the online gallery on or before 3 days after your event, and the USB Drive will be provided on-site after the event.